while running through roads, breezeways, and trails. But, this won’t be your standard race, as each runner will be negotiating the obstacles and defenses established by the Castle’s defense force! The celebrity Race Ambassador for our 3rd annual Attack the Castle 5K, 10K, and 1 Mile Fun Run will be the one and only, the greatest wrestler of all time, the 16 time world champion… Ric Flair, The Nature Boy! WOO! Attention runners! The fun does not stop at the finish line! Bring some cash and enjoy our Attack the Castle merchandise tables and vendors before and after your run. You can purchase great souvenirs or cool off with a snow cone from Kona Ice. We encourage runners to come dressed in anything from silly costumes to military gear. Join us to see if you have what it takes! Early packet pickup: March 19th through the 23rd between 7:30AM and 4:30PM in the Admissions Office/Lanier Hall at the Military Academy. Race Day Registration and Packet Pickup: Begins at 8AM *We recommend early packet pickup. Awards: Overall Male and Female, Masters Male and Female, 3 deep in 10 year age groups. Shirts and Goodies: Everyone pre-registered by 2/23/18 will be guaranteed a dri-fit shirt. Those in the 5K and 10K will also receive an official water bottle and goodie bag. Those who register after that date and on race day are not guaranteed a shirt or size. There will be plenty of refreshments and fun. Course: It is one of the toughest you will run. There will be various terrain including sand, rock and trail. Water will be available on the course. 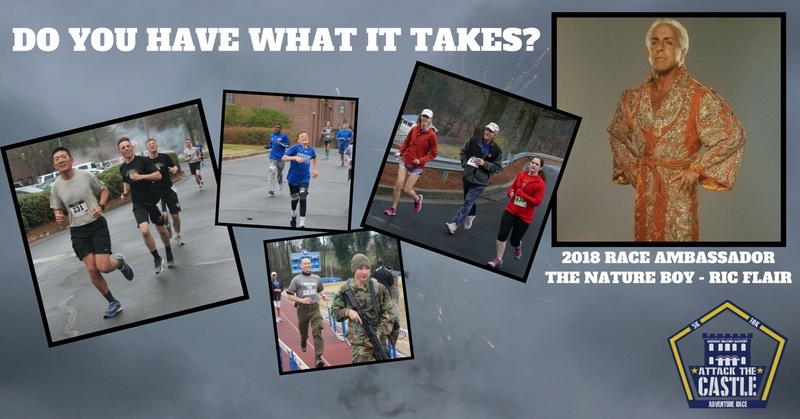 Series Affiliation: The race is part of the 2018 Black Bag Race Series. You will only be permitted to enter 1 race.